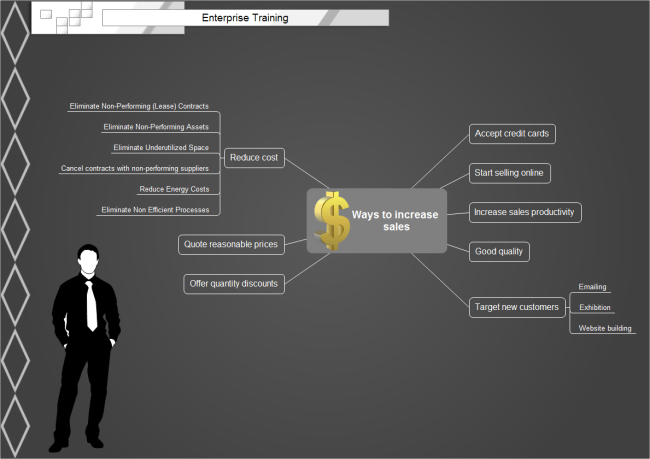 Description: A free customizable training mind map template is provided to download and print. Quickly get a head-start when creating your own training mind map. During the staff training, this pictorial and catchy template helps you to avoide audience dozing and gain better effect.